"We must have horses and dogs and cats and other animals in our lives in order for our psyches to function as they should, just as we have to have bacteria in our guts in order to digest food." Other domesticated animals have changed biologically because of the process of being domesticated. Horses, for the most part, have not. The horse has evolved according to the world he inhabits, adapting as the climate changed, grasses proliferated, water ebbed and flowed. The horse we know now in North America originated 56 million years ago as the dawn horse, gradually losing his toes, developing a concave back and flat teeth. In fact, the evolution of the horse's teeth determined his very survival, and the evolution of grass determined his teeth. Beginning as a browser, he developed into a grazer. Beginning as a scampering little creature, he became a galloping athlete. His intelligence, along with his physical prowess, also grew. In searching for a deeper understanding of horses, Williams explores some of the mysteries in their evolution, including one fascinating riddle: the disappearance of the horse in the Western hemisphere, and specifically North America, around 14,000 years ago. The reasons for this vanishing are debated vehemently by scientists, and no consensus has been reached. 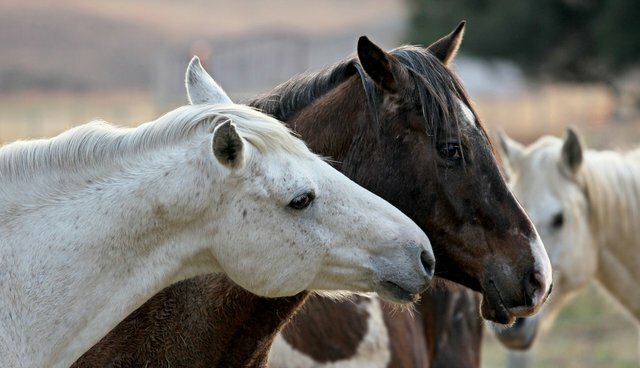 (The fact that horses were no longer here when Europeans arrived has been used as the rationale for the government's removing the wild mustangs in the West as a non-native species.) Darwin himself had struggled to find an answer to this phenomenon. Why, after millennia of adapting to the changing conditions, would the horse population dwindle and die out in this region? Was it the result of human activity? Williams' investigation of this disappearance takes her all over the world, tracking the horse's progress and decline, along with the planet's shifts, and coinciding human development. One particularly illuminating incident occurred in 2013 in Britain's New Forest National Park where dozens of free-roaming New Forest ponies perished as a result of the boomer crop of acorns. Horses love acorns to death. Literally. Oak trees proliferated relatively recently, after the ice receded, so equine tolerance has not had a chance to evolve, and probably will not. Perhaps that offers one clue to the North American extinction. The controversy, however, continues to rage in the scientific community, and may never be fully resolved. What we do know is that the horse's extraordinary evolution occurred not to benefit mankind, or as a result of our intervention, but in spite of it. We are fortunate to have found common ground that enables a mutually beneficial relationship, and that the horse is forgiving of our many trespasses. There is still much to learn as we humans evolve into wiser, more compassionate companions. "The Horse" begins and ends with the author observing wild mustangs in Wyoming. 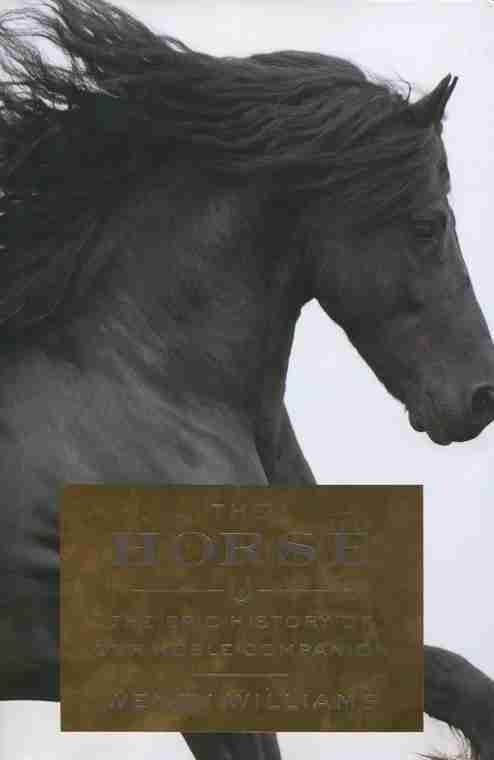 Her quest for understanding the true nature of the horse, and the origins of the bond between horse and human, provides us with a joyous ride through equine history. Williams gives us a cohesive, comprehensive, yet comprehensible study of this magnificent animal. Her epilogue is truly an "ahhh!" moment of personal evolution.